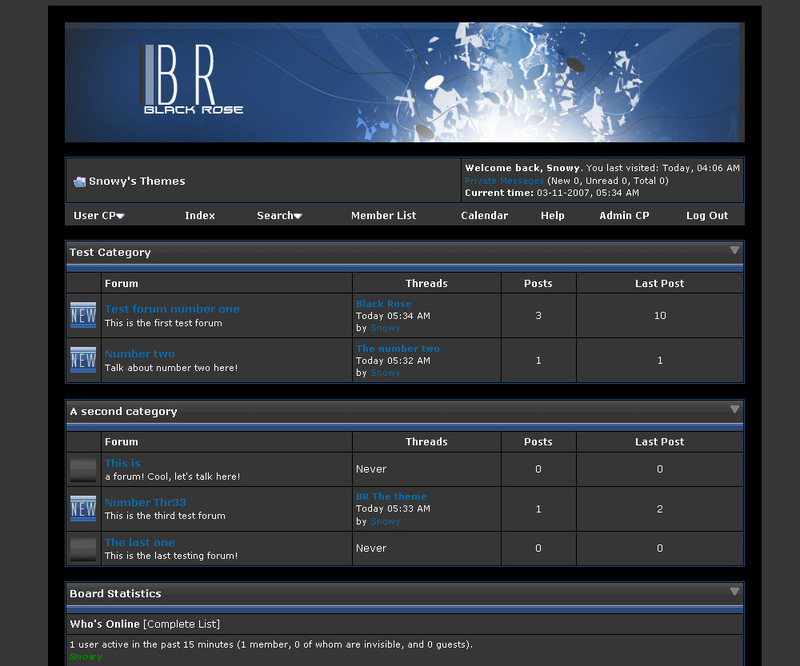 Black Rose is a clean, crisp dark theme for MyBB 1.2.x This theme is consisted of mostly greys, but there is some black and blue in it. The theme is balanced, it isn't too dark, but won't hurt your eyes late at night. Donations are to be made to [email protected](dot)com, through Paypal. Donations are completely optional. Thank you, and I hope you enjoy this theme!